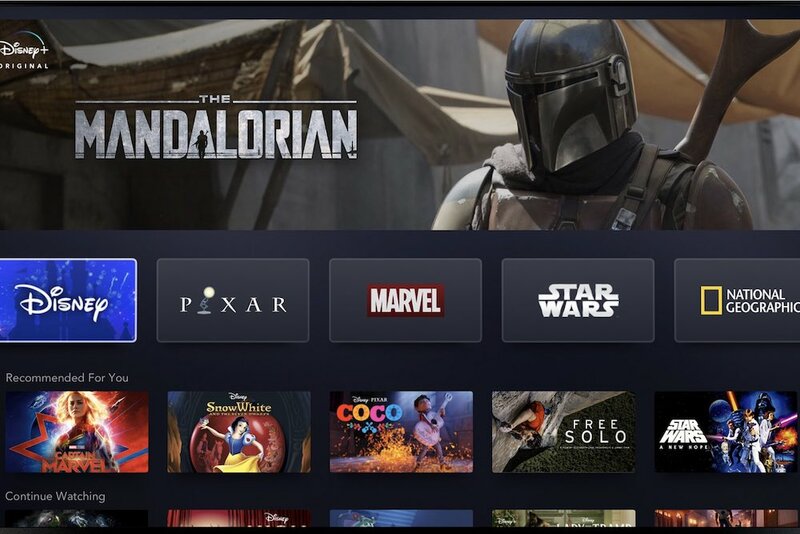 Recently Disney announced its plans to roll out the Disney+ streaming app. Disney+ will have an excessive amount of content to choose from, of which supports 4K and HDR. Disney+ will be launching in the U.S. market first on November 12, 2019, with a price of $6.99 per month (cheaper annual price of $69.99). Then the service will be gradually rolled out and is expected to be available in all major markets by 2021. The Disney+ service will offer originals and library offerings from Disney, Pixar, Star Wars, Marvel Studios, and National Geographic. Plus it will also have 20th Century Fox Titles like The Sound of Music, The Princess Bride, and Malcolm in the Middle. And it will also have every episode of The Simpsons. Captain Marvel will be a streaming exclusive on Disney+ as soon as the service launches. The announcement was made at Disney’s direct-to-consumer event earlier this week. And the event included presentations on Hulu, Hotstar, ESPN+ as well. The Investor Day event featured presentations from The Walt Disney Company’s senior management team including Robert Iger (chairman and CEO), Kevin Mayer (chairman of Direct-to-Consumer and International), Christine McCarthy (SVP and CFO), Lowell Singer (SVP of Investor Relations), Jimmy Pitaro (president of ESPN and co-chair of Disney Media Networks), Michael Paull (president of Disney Streaming Services), Randy Freer (CEO of Hulu), Russell Wolff (EVP and general manager of ESPN+), Uday Shankar (president of The Walt Disney Company Asia Pacific and chairman of Star and Disney India), Ricky Strauss (president of Content and Marketing at Disney+), and Agnes Chu (SVP of Content at Disney+). “Disney+ marks a bold step forward in an exciting new era for our company – one in which consumers will have a direct connection to the incredible array of creative content that is The Walt Disney Company’s hallmark. We are confident that the combination of our unrivaled storytelling, beloved brands, iconic franchises, and cutting-edge technology will make Disney+ a standout in the marketplace, and deliver significant value for consumers and shareholders alike,” said Iger in a statement. Additional content that will be on the streaming service includes all of the Cars movies. There is going to be a Falcon & Winter Soldier spinoff show, a new show on National Geographic with Jeff Goldblum, Frozen 2 (when it is released), and all of the other Disney Signature movies. Marvel is working on a short series called WandaVision with Scarlet Witch and Vision. Some of the live-action programs Disney is making includes the holiday film called Noelle starring Anna Kendrick. Plus there is a live-action version of Lady & the Tramp coming. Disney Channel will be releasing a Phineas and Ferb movie along with new programs like High School Musical: The Musical: The Series, Monsters at Work (Monsters, Inc. characters), and a series based on Diego Luna’s Rogue One: A Star Wars Story. By the fifth year that Disney+ is available, Disney is expected to have more than 50 original series programs, at least 10,000 episodes of shows, and more than 500 movies. Disney+ will be available on iOS, Android, smart TVs, set-top boxes, video game consoles, etc.